This Expert Interview is with ex-secondary Headteacher, trainee therapist and Integrity Coaching Associate, Tim Small. 1. 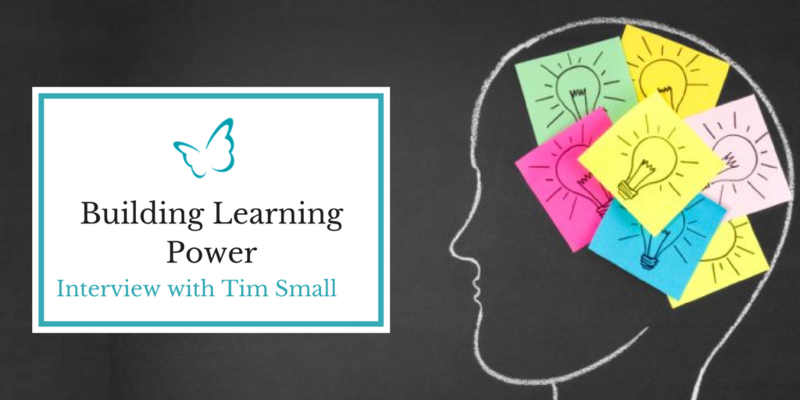 What is “Learning Power” Research and how has this become a particular area of interest for you? “Learning power” research explores deeper into the collection of psychological traits and skills that enable a person to engage effectively with a variety of learning challenges. As an educator, I was always passionate about helping young people to become authors of their own lives. When I came across “Learning Power” research I could see immediately that it served this same passion: it was about empowering people to learn and grow and become more independent-minded, rather than passive recipients of their education. It is based on world-class research and its impact has been reported on in books and peer-reviewed journals for well over a decade now. The research continues, attracting global interest, still led by Professor Ruth Crick, who was appointed to undertake the original research at the University of Bristol in 1999. Out of this research, has come the CRICK Learning for Resilient Agency (CLARA) profile. 2. What is the CLARA Profile? The CLARA profile is a valuable tool for re-engaging young people with their sense of purpose for learning. It treats them as ‘active agents’ in their education, rather than ‘passive recipients’. This has been shown to increase their confidence in – and responsibility for – their own learning. Importantly, it also gives rapid feedback to individual learners, their teachers and school leaders about their own, changing learning power and patterns of learning power across the school: what needs working on, how these patterns relate to existing data, how to identify students at risk earlier, which groups need boosting and in which ways – informing personal and strategic decision making. We are talking about a ‘dashboard’ that helps leaders to ‘steer’ the learning and teaching of the school community towards greater confidence, caring and capability. 3. How does the CLARA profile assess Learning Power? The eighth dimension is shown as a ‘slider’, locating your ‘Orientation to Learning’ optimally somewhere between the two extremes of ‘Fragile Dependence’ and ‘Rigid Persistence’ (depending on the kind of challenge you are facing). Taken together, this feedback gives people a sense of their ‘learning identity’ at any given time – which we know to be changeable, affected by context, holistic and inter-connected. Young learners are often fascinated by seeing their Learning Power depicted in this way – and a ‘learning conversation’ with a skilled coach or mentor, using the profile as a reference point, has been shown to stimulate profound personal change – particularly with disengaged leaners. 4) How can our Schools and their Leaders benefit from the CRICK profile? Schools in England are becoming increasingly pressured by an increasingly narrow agenda. This can eventually displace people’s sense of vocation and deplete their energy – as they are serving an extrinsic purpose not in harmony with their identity. Strong, maverick leaders can mitigate these effects. The fifteen years of research behind CLARA also provides robust evidence that there is another way: it is possible to serve the humanity agenda as well as the accountability agenda. It is possible to develop self-aware, confident, bright-eyed, responsible and capable learners, prepared for the 21st Century, for whom getting the best grades they’re capable of is a natural and relatively straightforward by-product. We have started to use the CLARA profile in the context of Integrity Coaching sessions, as a pilot, as experienced executive coaches in business contexts have reported that the Learning Power profile makes an ideal starting point and continued reference point for coaching conversations. Not only this, but it also has the great power to…. What is a “professional presence”? 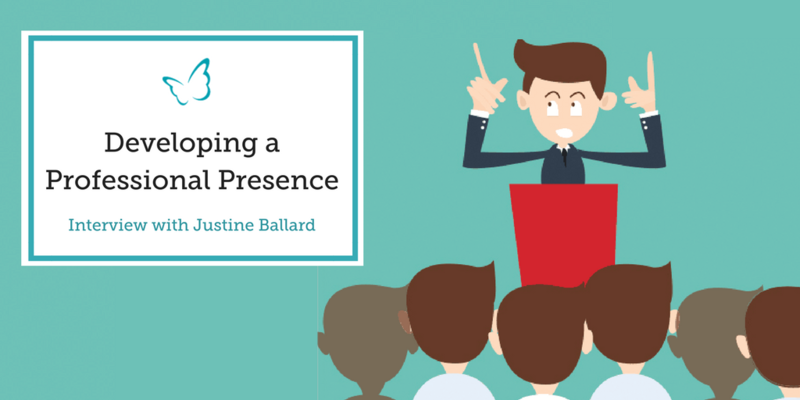 In her expert interview, Integrity Coaching associate, Justine Ballard explains why presence is so important as a school leader, and offers some great tips that can immediately impact how others see you and how you feel about yourself.